It has been a lovely day today, a perfect mow the grass and clear out the shed day! We moved out the bazilion plastic plant pots. The ones you keep because they will be useful one day and before you know it, you have a shed full. So, we had a plant pot cull, swept out the cobwebs and put everything back. All nice and tidy, for now. 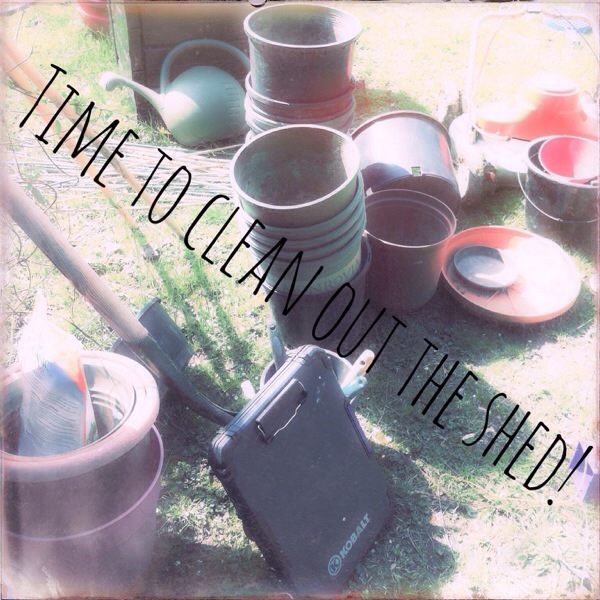 Are you having a Spring clean? Planting lots of seeds? What are you growing? Got a Six Word Saturday? Do share. Happy Easter to you, Spring cleaning is the best!